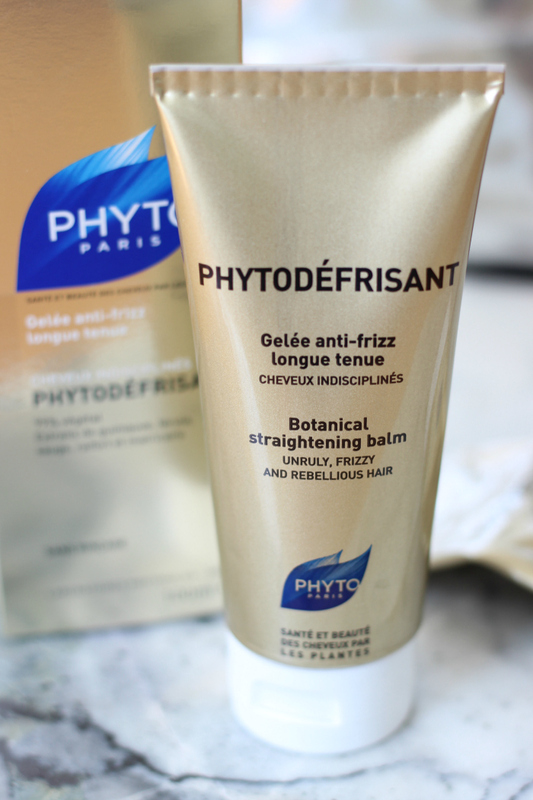 Phytodefrisant is a product I’ve repurchased countless times. I was sitting around the other day; brainstorming new blog post ideas, rummaging through my drawers and realized it was way overdue that I shared this hair smoothing and defrizzing champ. It’s been my favorite hair smoothing product for the longest time! Now that you know I love it, let me tell you why. Perhaps it will be your favorite hair smoothing product, too. When I first moved to Philly after I graduated college (major throwback to 2008), I got my hair done at some super hipster chic artsy salon. I chopped it all off into a posh-spice bob and dyed it dark brown. Don’t bother trying to find photos of me with this hair because I have removed all records of this phase in my life ever happening. 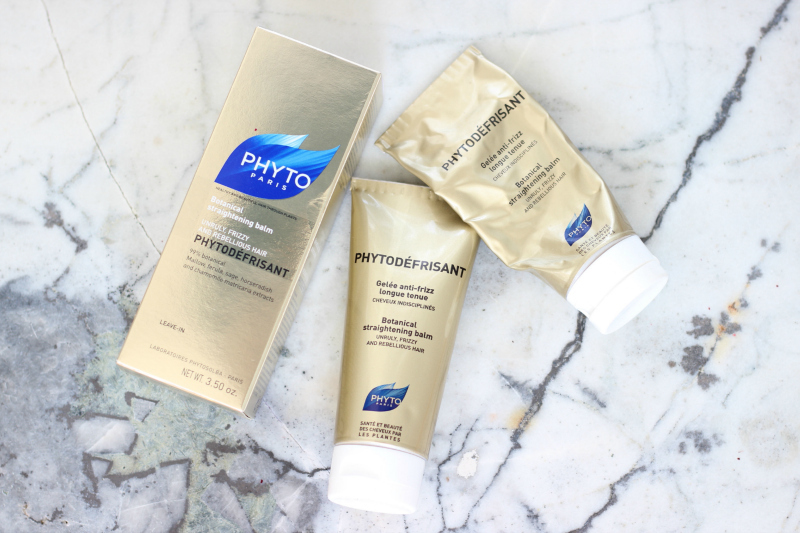 Needless to say, the hair look wasn’t for me but I was introduced to this French, plant-based hair care line: Phyto. 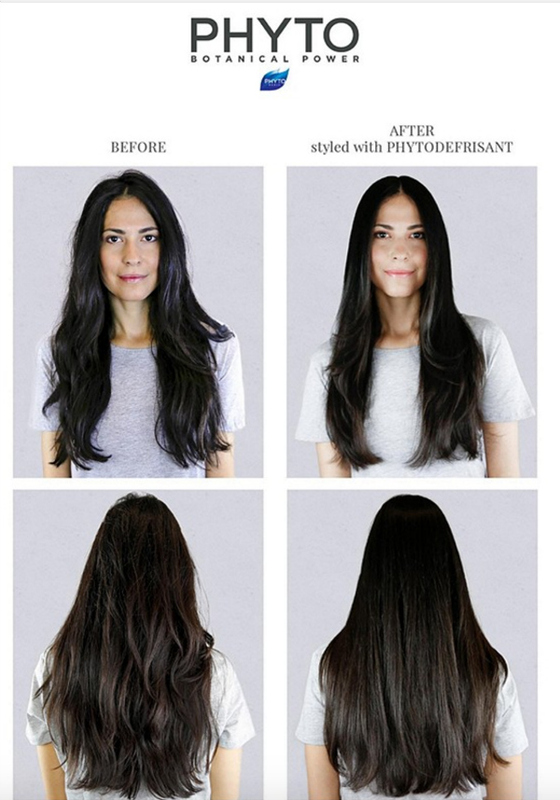 I particularly remember how healthy Phytodefrisant made my hair look and feel post-blow-dry. Luckily, they sell this line at Ulta so I never had to go back to that salon to replenish this fabulous product. Started back in 1965 in France, founder Patrick Alès created his Phyto line and styled the coifs of Brigitte Bardot and Jackie Onassis Kennedy (to name a couple) and now has a complete collection of shampoos, conditioners, styling treatments, plus dietary supplements to give you your best hair. Let me begin by saying my hair isn’t your traditional type of frizzy. I don’t have curls and I barely have wave. What I have is wiry, coarse hair that has a mind of its own and looks like a lion’s mane that got electrocuted. What Phytodefrisant does for me is it gives me happy hair. It is a heat-activated ‘straightening balm.’ What I love is that it never makes my hair look or feel flat/heavy. It’s weightless and bouncy – which is a must for someone who already has heavy hair. Bonus points for it being alcohol-free and hydrating to the hair, as well. I also love using Phytodefrisant when I let it air dry to help define any texture without it looking like I haven’t brushed my hair in a week. The directions say to use a walnut-sized amount of the clear gel product through the hair evenly from root to tip. I, personally, mix about a chickpea-sized amount with a drop or two of Moroccanoil Light or Goldwell Kerasilk oil and apply that mixture throughout my hair. Comb through and blow dry. It works just as well without the oil, but since I’ve lightened my hair even more recently, my hair can use the extra moisture. One tube easily lasts me nine months and I shampoo twice a week. Find Phytodefrisant and the other Phyto products at your local Ulta, Ulta.com, on Dermstore.com or Nordstrom.com. What’s your favorite hair defrizzing/smoothing product? I wish I could say I like the silicone-based products from other brands, but I just find those weigh my hair down and feel greasy. Hope this product helps you out! "First Aid Beauty Hello FAB Collection Review"
"Youthful Eyes In 3 Minutes A Day | SpectraLite EyeCare Pro Review"